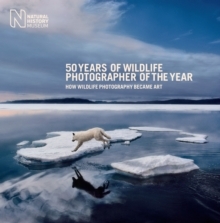 Featuring many of the greatest nature photographs of all time, it charts the development of nature photography, from the first hand-held cameras and the colour film revolution of the 1960s, to the increasingly sophisticated photographs of wild animals and unexplored places that are taken today. This is a resized and reformatted edition of the larger bestselling book with a striking new cover. The prize-winning images include ground-breaking portraits, breathtaking aerial shots, underwater photography, close-up imagery and much more. The images are accompanied by captions that put the photographs in context, explaining their importance, andrevealing the vision, talent, passion and technique of the world's leading wildlife photographers. All those who are passionate about photography and who have followed this compelling competition since its inception 50 years ago will treasure this magnificent volume.